This small French clamp measures 3/4" in width and 1" top to bottom. Covered with soft lambskin leather and hand wrapped with crystals on both sides. 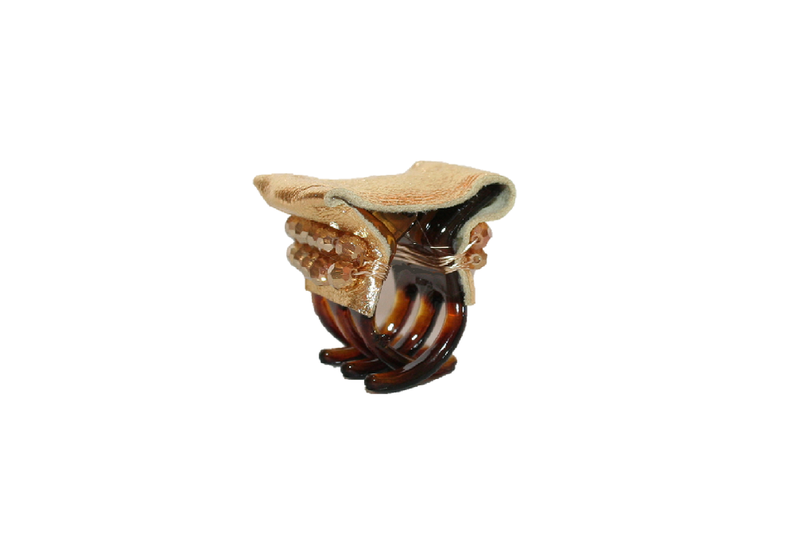 This small clamp is very easy to use, very versatile in most hair types and as shown here on fine hair, you can wear it at least 4 different ways. Excellent for fine and medium hair. 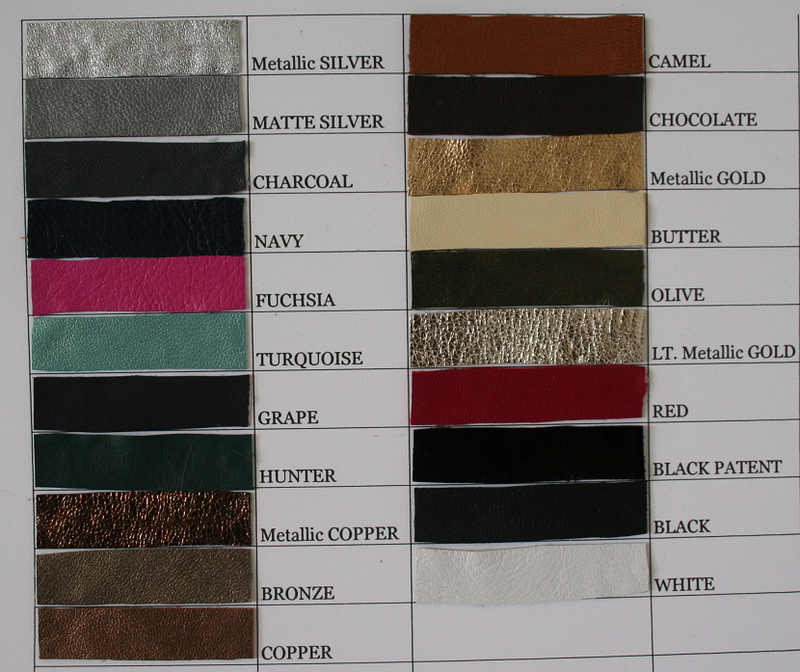 You choose a leather color and we will use a complimentary crystal color to match. Shown here in our NEW spring colors: orange daisy, blue daisy, and white daisy.